Hundreds of crescent-shaped ‘ghost dunes’ dotting the Martian surface could reveal new clues on the possibility of ancient microbial life. These pits mark the location where huge sand dunes towered hundreds of feet above the ground billions of years ago. In addition to providing insight on Mars’ past climate and changing wind patterns, experts say the impressions could be a useful target in the hunt for signatures of ancient life, as they may once have sheltered microbes from harsh radiation. Ghost dunes are impressions left behind after lava or sediments carried by water buried the sand structures and preserved their contours, researchers explain in the new study published to the Journal of Geophysical Research: Planets. While wind may have blown sand off the exposed tops and carved parts away, the solid mold is left behind. The remarkable structures have been seen on Earth and in satellite images of different regions on Mars, in the Hellas basin and Noctis Labyrinthus. 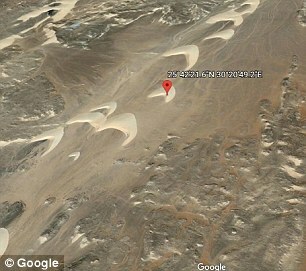 The team found more than 480 potential ghost dunes at Noctis Labyrinthus, and more than 300 in eastern Hellas Planita. At these sites, respectively, the average dune likely stood roughly 130 feet and 246 feet tall. 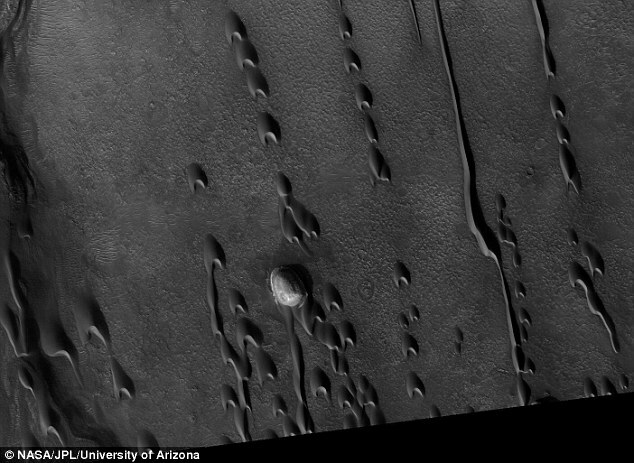 ‘Any one of these pits is not enough to tell you that it’s a dune, or from an ancient dune field, but when you put them all together, they have so many commonalities with dunes on Mars and on Earth that you have to employ some kind of fantastic explanation to explain them as anything other than dunes,’ said Mackenzie Day, a planetary geomorphologist at the University of Washington in Seattle. The dunes help to shape our understanding of what Martian winds were like in the past. Based on their curves – or ‘horns – scientists can determine the direction of prevailing winds at the time they formed. ‘The fact that the wind was different tells us that the environmental conditions on Mars aren’t static over long time scales, they have changed over the past couple billion years, something we need to know to interpret the geology on Mars,’ Day said. 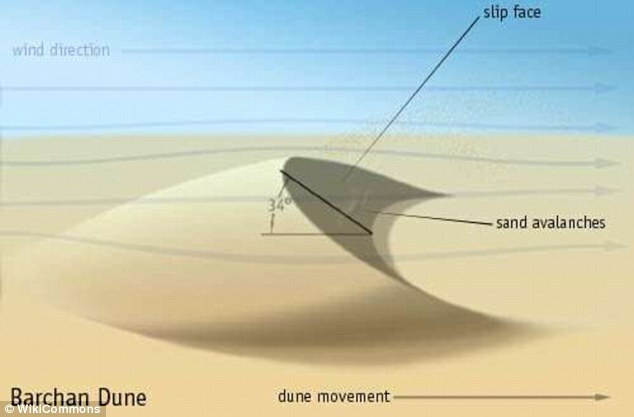 ‘They are all going the same way, which you would expect for dunes because they are all migrating and forming in the same wind regime,’ the researcher explained. According to the researchers, the dune fields were likely inundated by a slow-moving liquid around 2 billion years ago. But, just how it all played out may have been different between the two locations. While Noctis Labyrinthus sits near the site of ancient volcanic activity, Hellas basin is downstream from canyons carved by water. ‘If some of the water that carved those valleys made it downstream far enough, it could have gotten to the dune field,’ Day said. 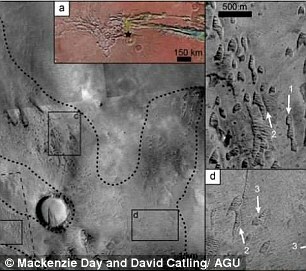 The researchers say these sites may hold important clues on the presence of ancient life, if it ever existed on Mars. ‘We know that dunes on Earth can support life, and dunes on Earth are very similar to dunes on Mars,’ Day said. ‘One problem that Mars has that Earth doesn’t is the surface radiation. If you are inside a dune, or at the bottom of a dune, and you are microbial life, the dune is protecting you from a lot of that radiation.